Is the Bible the word of God? Is it reliable? Is it true? Is the Bible we have today the same as the one originally written? Can the Bible be trusted? Are there any proofs that can be offered? Can Christians claim with any credibility that the Bible is the inerrant, infallible, inspired Word of God? These are the fundamental questions addressed in a 97 minute message given in Nov 2016 in Vancouver, Canada, by Michael Penfold. 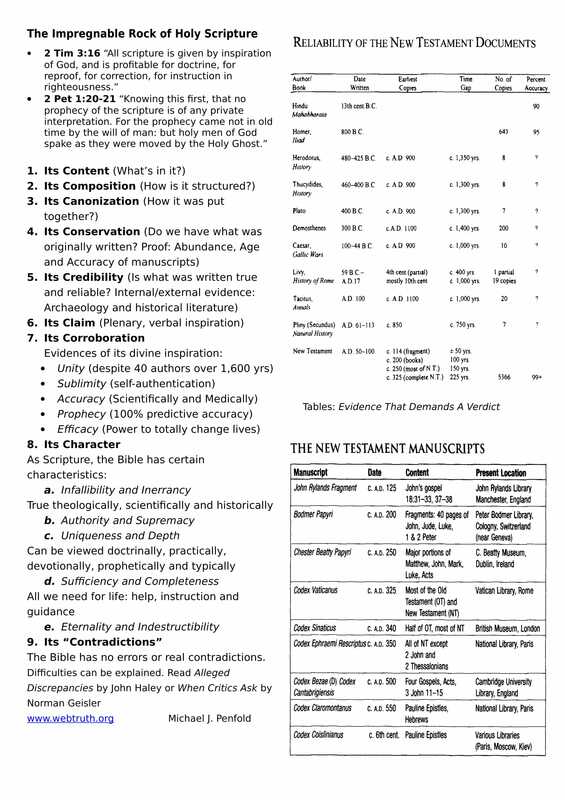 The handout for the message can be downloaded here. (A low res copy appears below).